print designs to the next level. 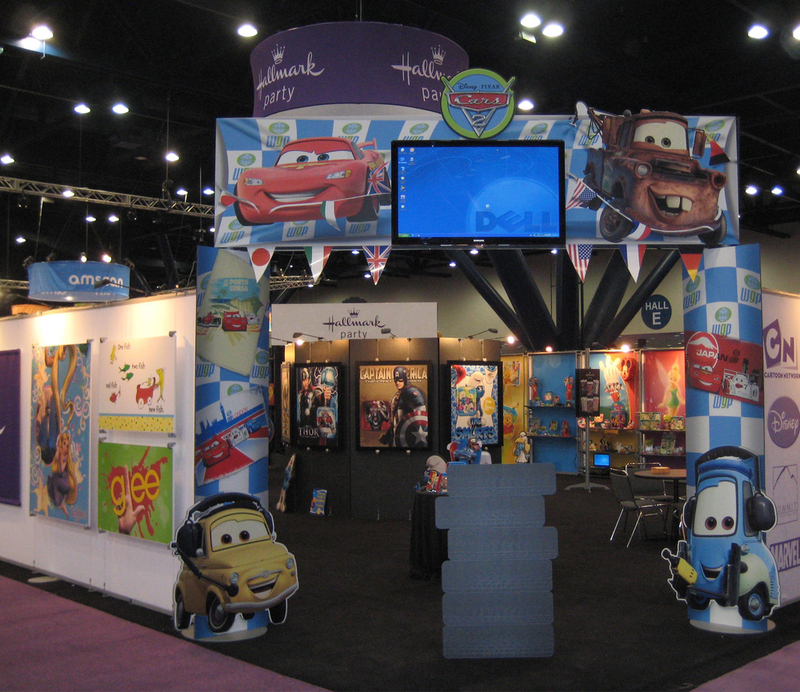 Through concept, collaboration and color, we help companies build trade show booths that wow visitors. For us, four walls just isn't enough - the trade show spaces that we build have customized enticing extras like hanging elements, flooring, product shelving and table surfaces. 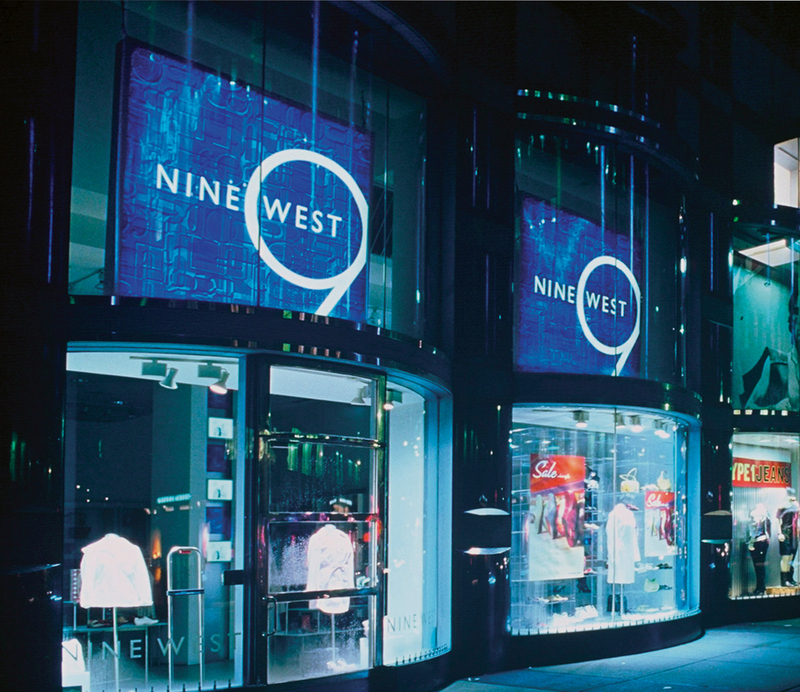 We have extensive experience producing interior signage, flooring, Point-of-Purchase displays and much more. This work can be seen in stores across the United States. If you take a stroll down Times Square you'll see some of our grandest work. An unforgettable guest experience starts visually. 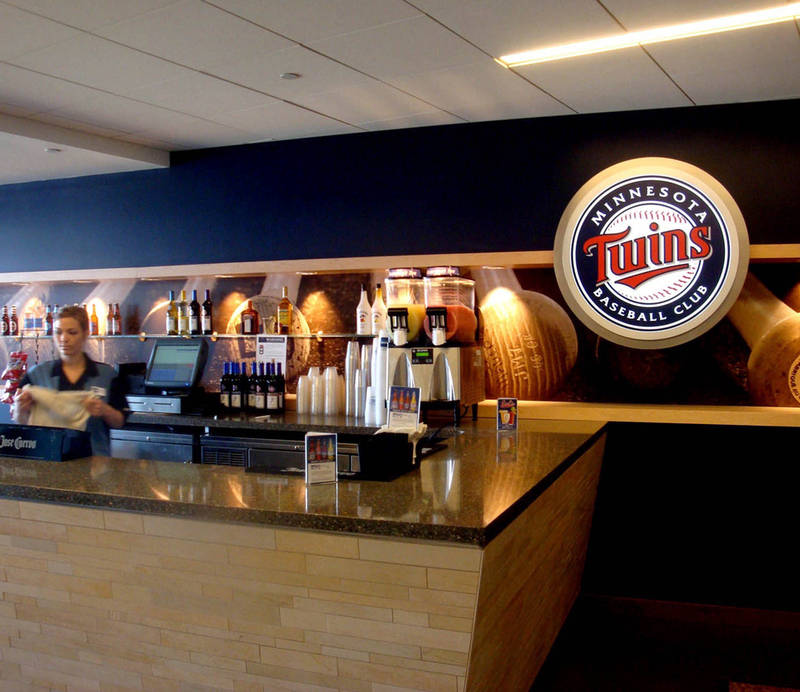 Whether you are a hotel, restaurant or an entertainment venue, Custom Color can ensure that your guest's experience is aesthetically pleasing. Whether it's custom print flooring or eye-catching wallpaper, we have the solution. Retail displays, dye sublimated fabric, floor graphics, window coverings, wallpaper, and visual magnetics are just a few of the endless visual marketing and design solutions that we offer. We make sure each individual project or marketing campaign is brilliantly executed each and every time. Custom Color isn't just about large format printing, we are a partner that is just as committed to your company's success as you are. We're pretty proud of our stuff. 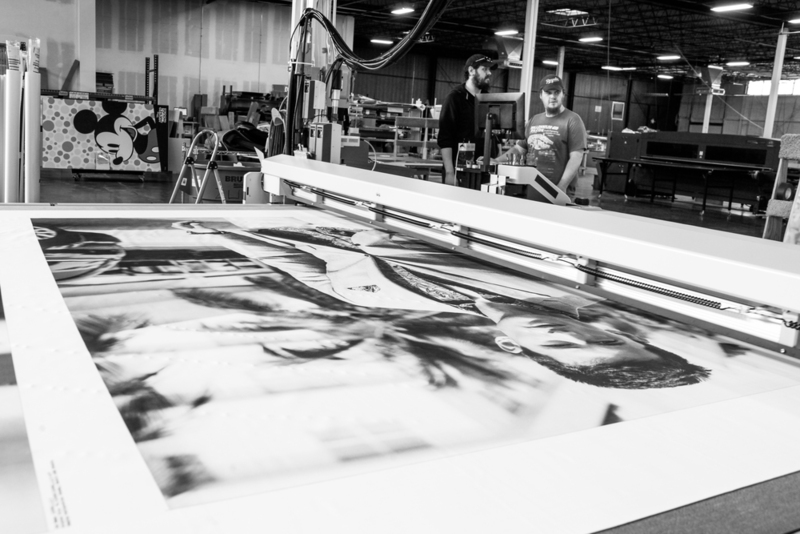 The production area, where your prints come to life, is 60,000 square feet. While we're fond of lots of room for activities, we like what fills the space even more. We've got cutting edge, front of the pack, best of the best technology. You're thinking, "Are three adjectives necessary to describe printers." Yes, that's how awesome it is. We've invested about $8 million since 2010 just to make your prints look brighter, sharper, and better. We utilize the most current technology in our industry. Our state-of-the-art equipment allows us to provide our clients with the highest-quality products on time and on budget. Custom Color boasts an arsenal of large format printing equipment which includes: two UV flatbeds, four Zund I-Cut tables, four latex roll printers, four FABRIC dye sublimation printers, and two Monti transfer presses. We realize that most people couldn't care less about what model of press we use so long as they receive what they order. Still, we can't help being proud of our toys. Once you see how great they make you look, we know you'll be proud of them, too. The prints come off the press - what next? Finishing is where the real work begins. 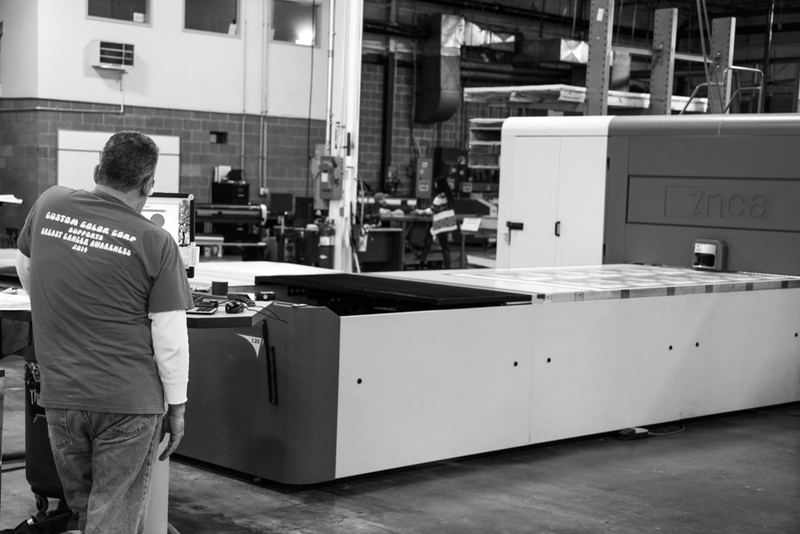 Our printing capability is amazing, but what defines us as a leader in the industry is our finishing process. Sewing, laminating, cutting, and custom hardware ensures that your product can go directly from box to display without any extra attention from you - unless you count admiring as extra attention, then by all means, it needs extra attention. In our production area, you'll find 10 sewing machines, two film laminators, two liquid laminators, and three digital cutters. You'll also find the most experienced finishing gurus in the business. "Lots of boxes at once." Kitting's motto is "pack it like you'd want to receive it." Last year alone, our team-oriented Kitting and Distribution department carefully boxed and shipped over 100,000 kits to stores across the world with over 99% target delivery execution. Our 40,000 square feet of warehouse space is dedicated to kitting your product. We'll package your displays and hardware to prepare for shipment. Our space is big enough to handle multiple, large-scale kitting jobs at once. Your Account Manager will work with the fulfillment team to double check every detail and ensure perfection. We're very aware that when it comes to your product, everyday counts. Because of our central location in the Midwest, we can deliver graphic kits to most of the country in three days or less through standard ground shipping. Our customers appreciate ink in a blink. We warehouse a wide variety of substrates and hardware for tradeshows, retail, and hospitality environments - our material list includes Dibond, Alumalite, Coroplast, Styrene, SBSCardStock, Stoplight, acrylic, GatorBoard, vinyl board and much more. It sounds intimidating, we know. Your dedicated Happiness Hero also doubles as a professor of print and will help you make the best decision for the project and for your business. Whatever your materials, you'll need hardware, too. From a stock banner needing grommets and rope to an elaborate retail display or trade show booth, we provide the solution that fits your needs. No size is too large, no project is too big. We'll custom fabricate any size of frame or hardware that your heart desires. We ink the impossible.